A massive return program has just been launched by the iPhone maker for AC adapters sold in many countries. A tremendous Apple recall has now swept through a large handful of countries, initiating a return program for all the adapters it has sold for over a decade, many of which have gone back as far as 2003. This return program has followed closely on the heels of a similar recall that was issued by Microsoft. Recently, Microsoft had to issue a call back for many of its AC adapters for the Surface line of devices. The Apple recall, however, is notably bigger as it is for gadgets going back well over a decade which are meant for devices that have seen far greater sales. The affected adapters are those that have been constructed with swappable prongs. They are the mobile devices that can be removed from the user’s charger and are included with the purchase of many of the different iPhone, iPad, iPod and Mac devices. This Apple recall will not affect the included chargers and adapters that were sold in the United States. That said, it is quite a widespread recall of Apple adapters, as it will affect those sold in Continental Europe, Australia, New Zealand, South Korea, Brazil and Argentina. It will also impact the adapters that had been included in the world travel kit and that have been sold around the globe for many years. It is in those packages that the recalled Apple adapters are most likely to find their way into the hands of Americans. 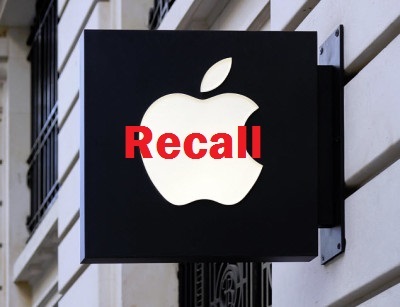 For those with products that qualify for the Apple recall, an exchange of the old product for a new one that does not cause the risk of a rare shock. This exchange is free for the customer and can be done either online, by contacting the company’s customer support, or by heading over to an Apple Store where it can be done in person.